the DAS number is so higher : 1.68 W/kg (head) , its so dangerous fot head and body , sumsung for exemple have DAS number 0.3 for S3 and 0.2 for S4. sheneid, 01 Feb 2013does this phone support whatsapp?Ya...we can use whatsapp...great phone...but problem ram is too low.. I bought it in the preconception that it had no radio and no ambient light sensor. It has a rds-fmstereo radio and a perfect working intensity adaption to the ambient light. It works perfect. The only thing is that the on button is opposit to the volume button. This makes it very possible to accidently push the volume up when you want to shut down the screen. darragh, 29 Mar 2013Have this phone about three months, love it, very easy to use. You can upgrade phone to jelly ... moreYou say you can get an update to Jelly Bean? 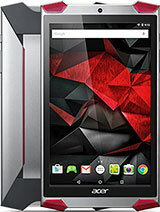 My brother has this phone but he is still on ICS and I have been unable to find an official Jelly Bean update or a Jelly Bean based custom ROM so I am interested in where you got this from? Am I missing something? my smarthphone is very much more beautiful than this. my father give me a cellphone great. dont need this is. sorry. darragh, 29 Mar 2013Have this phone about three months, love it, very easy to use. You can upgrade phone to jelly ... moreCould you tell me when to find a case? I would not recommend this phone to anyone, unreliable, and my first one fried itself now the replacement has just done the same thing, only less than six months after I received it. Do not buy one, Junk. Anonymous, 07 Nov 2012Where can you buy this phone in India? I don't even see it on acer's website, and no site seem... moreWhy don't you try an HTC Rhyme? The specifications are almost identical and the price is lower. In Romania I bought the Rhyme for about $180 and I am very satisfied with it. 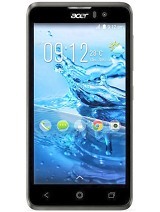 Where can you buy this phone in India? 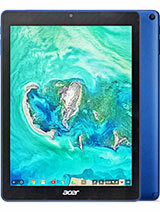 I don't even see it on acer's website, and no site seems to have it in stock. Frankie, 18 Aug 2012My 10 years old son has better phone than thisYou should keep your son from even HAVING a cell phone at that age. And if you buy a cell for your 10 year old child that's better/more expensive than this one you're basically not treating your son like he has to be treated. That's all I've got to say. 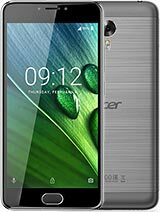 are acer smart phones in south agrica yet? 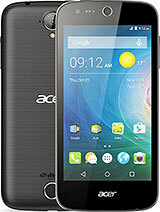 Total of 58 user reviews and opinions for Acer Liquid Glow E330.